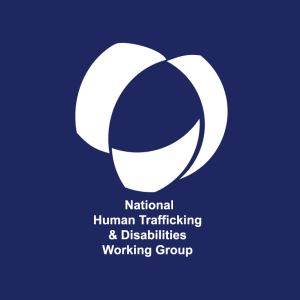 The mission of the National Human Trafficking & Disabilities Working Group (NHTDWG) is to prevent the trafficking of individuals with disabilities and Deaf individuals and to advance the health and well-being of trafficking survivors with disabilities and Deaf survivors of trafficking through research, policy analysis, technical assistance, and training. 9. To build and increase a partnership among survivors of trafficking with disabilities, allies, advocates, and other professionals. The NHTDWG Steering Committee is formed from experts and self-advocates from the fields of human trafficking and disabilities. Click the following link to learn more about the NHTDWG Steering Committee. Please email NHTDWG@iofa.org with any questions. Thank you!